After more than three years of writing, recording, critiquing, and re-recording, I’m very happy to announce that the first official single off of my upcoming album is available NOW! 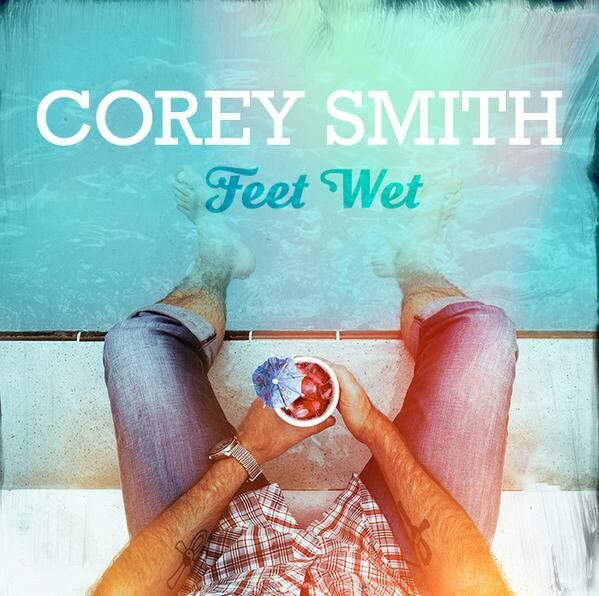 Download “Feet Wet” here. On the surface, “Feet Wet” may seem like just another summer-themed sing-along riffing on familiar notions of leisure and living in the moment. However, I hope people will take the time to peel away the layers and explore the deeper meaning. To me, it’s a coming-of-age song about getting to a place in life where we don’t feel we have to prove ourselves to others, where we can be content going at our own pace, on our own terms. It took me a while to get here, but I think I’ve made it to that place in life where I no longer need to prove anything to anyone, and I’m good with that. See you at HOB Orlando next month.